Even if he was told, traffic jams aren’t 'memorable' for New Jersey’s governor, they say. TRENTON, N.J. — Lawyers hired by New Jersey Gov. Chris Christie’s administration said Thursday the governor was not involved in the plot to create traffic jams last fall, a conclusion that left the lead lawyer defending the integrity of his report, which came ahead of the results of separate and ongoing federal and legislative investigations. The taxpayer-funded report released by former federal prosecutor Randy Mastro relied on interviews with Christie and other officials in his administration — who were not under oath — and 250,000 documents, many of them emails and text messages. But the key figures in the political payback plot did not cooperate, leading Democrats to question the credibility of the report and its thoroughness. The investigation concluded Christie had no knowledge beforehand of lane closings Sept. 9-12 near the George Washington Bridge between New Jersey and New York that caused four days of massive gridlock in the community of Fort Lee. The closings became a major scandal for the governor in January when he had to backtrack and acknowledge the involvement of a top aide and an associate in orchestrating the closings. He has repeatedly denied knowing about the plot or being involved in the closings. “Governor Christie’s account of these events rings true. It’s corroborated by many witnesses, and he has conducted himself at every turn as someone who has nothing to hide,” the report found. “We uncovered nothing contradicting the governor’s account,” it concluded. Her co-chair, Assemblyman John Wisniewski, also a Democrat, was critical of the report for not including information from those who refused to cooperate. “It’s very hard to tell who’s telling the truth when you don’t hear from all sides,” he said. Christie also went on the offensive after not holding a press conference since early January. The Republican told ABC News on Thursday the episode has been the most trying of his political career, but he never considered resigning over it and it will not affect any possible plans to run for president in 2016. 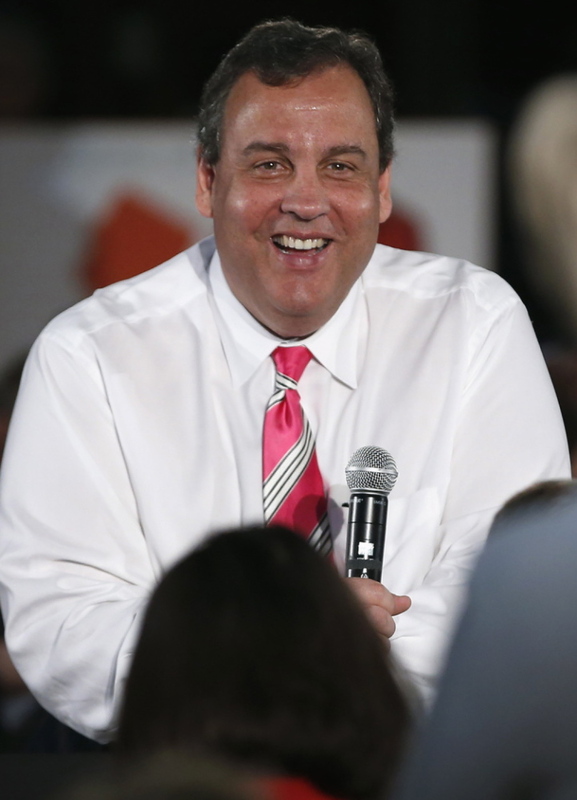 The report did not find even minor missteps by Christie and his inner circle. It cast Christie as a leader who was deeply troubled about the possibility that staff members were not being truthful to him — asking “with tears in his eyes” whether any of his top aides were involved in the lane closures. During a news conference, Mastro emphasized that the review found no evidence that the scheme was reflective of the wider operations of the governor’s office. Defending the report, Mastro said his team was able to review a trove of documents, including emails and text messages among Christie, Lt. Gov. Kim Guadagno, top governor’s office staff and former staffers. “We believe we have gotten to the truth or we wouldn’t be reporting it,” he said. He also said his team was sharing information with federal prosecutors. The report, issued at Mastro’s New York law office, concluded that former Port Authority of New York and New Jersey official David Wildstein and ex-Christie aide Bridget Kelly were behind the closures and that they were targeting Fort Lee Mayor Mark Sokolich. It did not determine why they wanted to hurt the Democrat yet said there was no evidence that it was because he refused to endorse Christie for re-election. The report said Sokolich brought up the possibility of endorsing Christie but ultimately decided against it and that even after that decision, the mayor remained on a list of Democrats whom Christie considered appointing to various boards. Both Wildstein and Kelly have refused to talk to investigators, citing their right against self-incrimination. In the absence of their voices, the report delved into their personalities. “Whatever motivated Wildstein and Kelly to act as they did, it was not at the behest of Governor Christie, who knew nothing about it,” the report said. The report said Kelly tried to cover her tracks when Christie began asking what happened. She asked a colleague to delete an email about the plot, but the other staffer retained the email anyway, the report said. The report also suggested Kelly may have been motivated to participate in part because she’d recently been dumped in a romantic relationship by a former Christie campaign manager. Christie also cut ties with that strategist, Bill Stepien, over the scandal. The report found that he knew about the lane closures but not about an ulterior motive. His lawyer, Kevin Marino, said Thursday that raises the question of why Stepien was ousted from Christie’s realm. “I just wish someone would acknowledge it was a mistake,” said Marino, who also said the mention of Stepien’s relationship with Kelly, when both were single and not working together, was gratuitous. Lawyers for Kelly and Wildstein did not return messages. Wildstein’s lawyer has said “evidence exists” that Christie knew about the closures as they happened. Mastro surmised in his report that Wildstein was referring to a conversation he had with Christie at a Sept. 11 memorial service. A Christie spokesman told Mastro’s team that Wildstein later said he had told the governor about it during that event. But Mastro says Christie did not recall it being brought up and if it was, it would not have registered as significant to Christie — something Christie has said before. Back in December, Christie said he was not aware of the bridge issue until “well after the whole thing was over.” By last month, he said he may have heard something about it as it happened but it didn’t strike him as important until an Oct. 1 news article about it. Mastro’s review accepts that version of when Christie learned about it. There has been no evidence produced that suggests he was aware of the plan before the lanes were shut down. Mastro called for Christie’s staffers to cease using personal email accounts for official business, eliminating the office where Kelly had worked and appointing an ethics officer in the governor’s office. He also recommended studying major changes to the Port Authority, an agency jointly run by New York and New Jersey.